It can be great fun to pack up the barbeque and take it on the road, out into the great outdoors for camping, picnicking, and good times down by the beach. That’s why Weber’s portable series is a popular pick in Sydney. There’s always good times and great meals to be had when you have a ready to go barbie available at all times. These mini Weber models are designed to take the place of public outdoor barbeques, meaning you no longer have to get down to the BBQ spot early, battle with hordes of other people, or clean up someone else’s leftover mess. 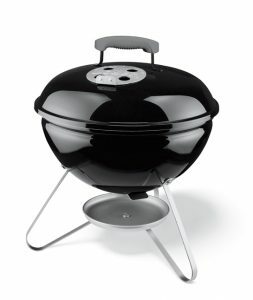 The portable series of BBQs comes in three different designs: The Weber Go-Anywhere, a with a traditional “camp stove” looking rectangular outer; the Weber Jumbo Joe, a portable version of the ever-present kettle design; and the Weber Smokey Joe, a slightly smaller version of the Jumbo Joe. Picnics, Camping, Parks - the go anywhere does just that! 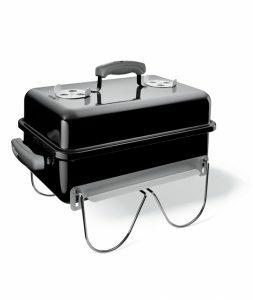 Perfect for hibachi style grilling, the Go Anywhere includes a lid that can be used as a wind shield and to smoke meats. New to the Weber Family, the Jumbo Joe is Weber’s premium portable kettle bbq. 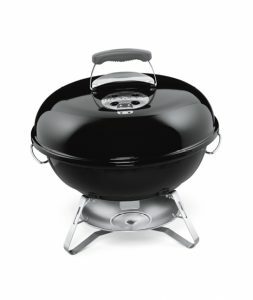 Introducing the Weber Smokey Joe - a mini version of the famous Weber Kettle! Perfect for camping, beach or outdoors - and feeds 2-3 people.